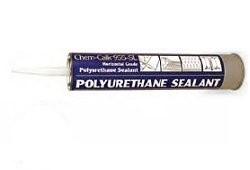 A one-component, pourable, urethane sealant. Its tear and abrasion resistance characteristics, along with its strong bonding ability to concrete, delivers an ideal sealant. Its adhesion ability to many common building materials allows it to be specified for various horizontal sealing projects of dissimilar substrates. Chem-Calk 955-SL is also an excellent crack repair sealant.